THIS INFORMATION IS VERY OLD!!! These hoops are popular at festivals like burningman and at some dance clubs around the world. Their instructions involve using translucent tubing, color LEDs, resistors, a switch and a battery. 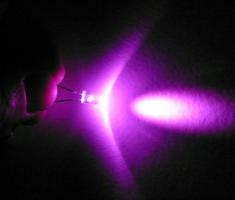 -How do I choose LEDs with the same Voltage Drop? -What resistor value do I need for these LEDs? -How exactly do I strip the wire with a razor blade? -How much is this all going to cost me? -Can I just buy 10ft of tubing instead of 100ft? The above are all potential barriers that may prevent you from trying this out. I’d like to avoid that. 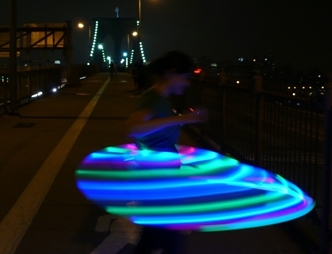 Side note: The DIY LED Hula hoop isnt new, see these links for reference. Jason Unbound |psihoops. Here is a list of LED colors and their typical voltage drops (Vf). For simplicity lets put the color changing LED with Blue, Green, and White. In Craft they used 6 color changing LEDs, so I would assume the others were split between blue and green, I am not sure if they used white. Even though you dont use the red and yellow LEDs you get those colors from the flashing LEDs. In any case the Vf ranges from 3 to 3.6, so you can average that out to 3.3Vf. I am no longer offering resistors in my kit so I have crossed out this section to avoid confusion. The reason you wont need resistors with my kit is becuase I have selected LEDs that have a Vf very close to or above 3.6V. So when you connect a 3.6V battery to it the LED will not draw more than its rated current. Eliminating the resisotors makes assembly easier. In fact it the LED legs can be “twist tied” to the exposed copper of the wire and you dont even have to solder it. But hey, you should be reading the latest assembly instructions. So stop reading this post, it’s old! This part is pretty easy. Your battery voltage is 3.6V and you want to limit current to 20mA max for each LED. So 3.6V-3.3V= 0.3V. And 0.3V / 0.020A = 15 ohms. The Craft article instructs you to strip insulation away at different intervals on the wire using a razor. I dont really know why they dont include wire strippers in the tool set, but unless you have used a razor that way before I would avoid it. You risk cutting through the wire or your fingers. I would seriously recommend this adjustable wire stripper, it’s really cheap and allows you to strip the wire in the middle of its length without any risk of cutting it. Thanks again to jeffkobi for the tip. Unfortunately they have a $10 mininum plus shipping, so if you only need that tool you can buy it from me for less and combine it with another order. You can see a video demonstration below. In the Craft Magazine instructions it mentions that you can press the switch into a hole you cut in the tube and hot glue or epoxy it into place. Please DO NOT use superglue. I tried in on a switch and it flowed through the entire mechanism and froze the switch. Epoxy should work better since its less fluid, but stay away from the moving parts of the switch. Hot glue is probably the safest, but I have heard some people’s switch still gets accidentally pushed into the tube. On recommendation I can make is to modify the switch so that it sits on top of the surface of the tube. Here are some photos to demonstrate. Basically you bend out the metal tabs up. So that those flaps rest on top of the tube surface. This way the switch can’t fall in. Then you can tape it up with electrical tape if you want. You can also snip off the black plastic switch if you want it to be less pronounced. Lets take a look at how much you’d have to spend to make one of these things. 3/4 inch tube 100ft roll - $37.75 from usplastic.com. Price includes shipping in the U.S.
White electrical tape – We’ll consider this optional. You can use standard electrical tape if you want. Or you can find this at an art store. Now lets assume you get the remaining components all together at mouser.com to save shipping costs. 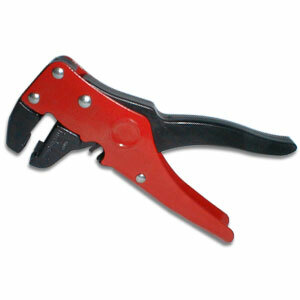 3.6V battery – axial leads 2.1Ah - $6.30 – this should last many months of normal use. If you add all this up you get a total of about $86 $85 for one hoop you’ll make yourself. Take out the color changing LEDs and its $70 $69. Well I’ll assume you own soldering iron, pliers, wire cutters, measuring tape and even a hot glue gun. But do you have a PVC cutter? You’ll want to use it to make sure your cut is perpendicular to the tube. The cheapest one I found was at Sears for $15. If you plan on cutting more tubes down the road it’s worth the investment, but if you just want to make one hoop it’s kind of silly to spend the money. Add that tool to your parts total and you are now up to $100. Kind of a lot to spend when you are making something yourself. Did you know you can have one made for you for $95 at superhooper.org with static LEDs and $175 for color changing LEDs? 21 LEDs: 7 Blue, 8 Green, and 6 color changing. If you dont need the color changing LEDs you can substitute them for blue, green or even white and only pay $39. By the way if you thought Hula Hooping was just for kids try googling “burning man” or check out this video and some links below. And in case you are wondering what Color changing LEDs look like, here is a video of one held inside a short white HDPE tube. ** This is not necessarily what arrives in the Kit. I just ordered the parts kit and I want to be sure the tubing is included. The items listed below do not mention the tubing, so I just want to be sure that I know what I’m getting. Also, do you happen to have other colors besides green and blue? reason being, I already own a PSI hoop, and I chose green and blue as my stationary colors. I love the way the pink LEDS look…. any chance you have some of those you could change out for me? It will include 21 LEDs: 7 Blue, 8 Green, and 6 color changing. yes it does include the tubing. I have had some server problems and had to restore this article. I will update the article with the right information. I will also look into finding pink LEDs and get back to you. yup I can get pink. But it looks a bit purple to me. If you are choosing custom LEDs you’ll have to list exactly which color and how many of each you want. And tell me if you want the color changing ones or not. Question: Better to have all the color Changing LEDS together ( Do they all change the same color at the same time together? ) Or mix them up? The color changing LEDs are independent of each other. So at first they will change colors at the same time, but slowly they will be out of sync. Each LED has its own chip or “brain” and they each run at their own speed. If you want all the LEDs to change at the same time you need to have one master controlling circuit connected to all LEDs. Its not hard to do, its just not offered in this kit, as of right now. But it might be in the near future. hey, thanks so much for all the tips! i was wondering, do you drill holes for the leds when you use the translucent tubing or do the lights still show up well enough without sticking out? cuz in jeffkobis instructible he drills holes to insert the lights, but he’s using black tubing…. so is it different with the translucent tube or should i still drill? Caroline, you definitely do NOT drill holes for the LEDs with translucent tubing. Unfortunately they are in the dark, but trust me, the LEDs shine very well through the tubing. there should be one video in the center of the page that shows the Hoop just sitting on my floor. This is how the pre-assembled hoops work as well. They are made by Psihoop, or superhooper etc. I am late in getting my own instructions up on my site. hopefully today, then you can see how its all done. You can also check out instructions on Craft Magazine Volume 6. Hey Mike! where’s the rechargeable kit I heard about? come on, I want one. this non-rechargeable option is for the birds, you know? I know, you’re right. I gotta get the instructions finalized. The battery is on backorder with my vendor for another few weeks, so I thought I’d hold off till then. But I guess I can take pre-orders right? I’ll try to get something up this weekend. Thanks for the reminder. It’s hard to gauge interest through the site. Hey Mike! We’re going to have an LED hoop-making party. I have the translucent tubing, but am interested in buying the rest of the kit, and several of them, from you. Is that possible? Thanks! I also have blue and green even though they are not shown there. Steve, if you want to buy in bulk please use my contact page to send me an email with details of what you want and how many. I can make different arrangements depending on whether you are a retailer re-selling kits, or just plan on making 10 hoops or so. To my untrained eye, it seems as if most of the qkaeus until recently have been layering in vertical sheets along a rough line north of the island up into El Golfo bay. The recent increasing depth qkaeus have trended from that location around the east of the cluster and the previous cinder cones in what looks like a semi-horizontal sheet dipping to the east and them moving southward. The vertical sheets are likely dike formation, semi-the horizontal sheet that dips to the east and south is likely following the strata of previous (millions of years old) deposits.If it keeps swelling and the infill can make it to the surface, then there will be an eruption. Until then, dunno.It will go when it’s ready, and not a moment sooner.